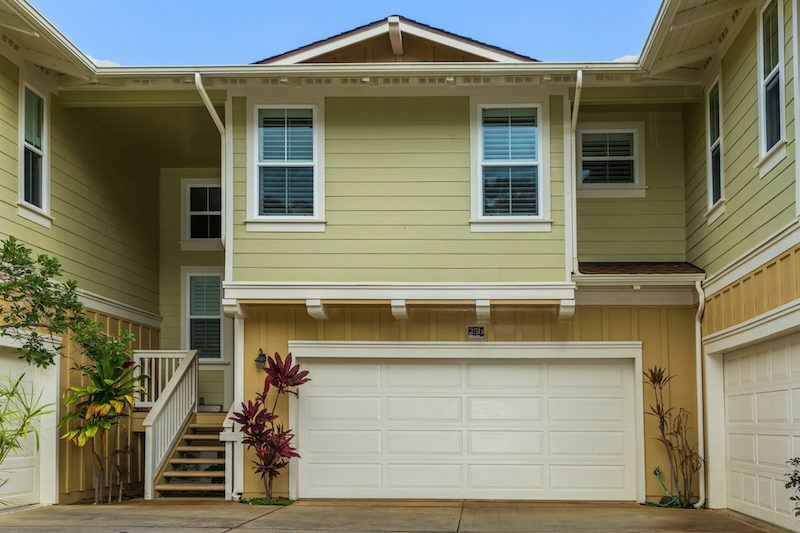 New listing in Nihilani at Princeville is priced at $625,000 and currently the lowest listed offering in the complex! Tucked away on a quiet cul-de-sac, Nihilani 25 B overlooks lush tropical gardens and the resort pool, making it a desired location within the development. 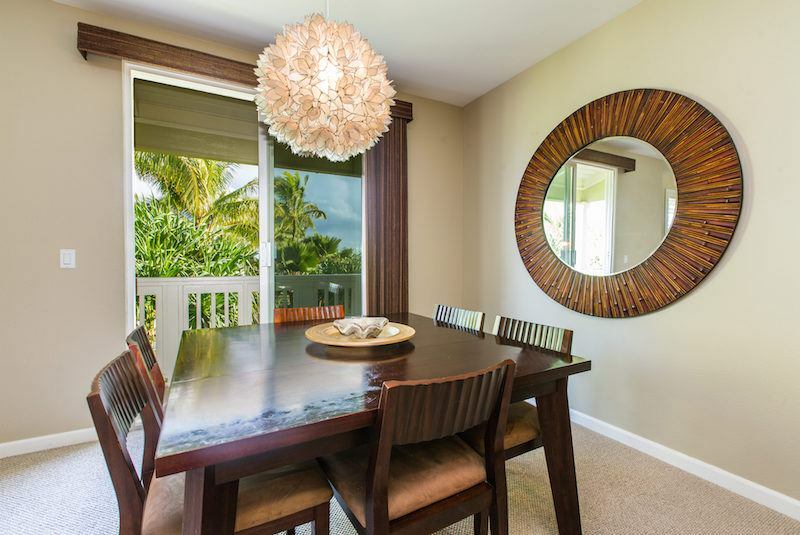 This split-level luxury condominium is a successfully active vacation rental being sold with furnishings. 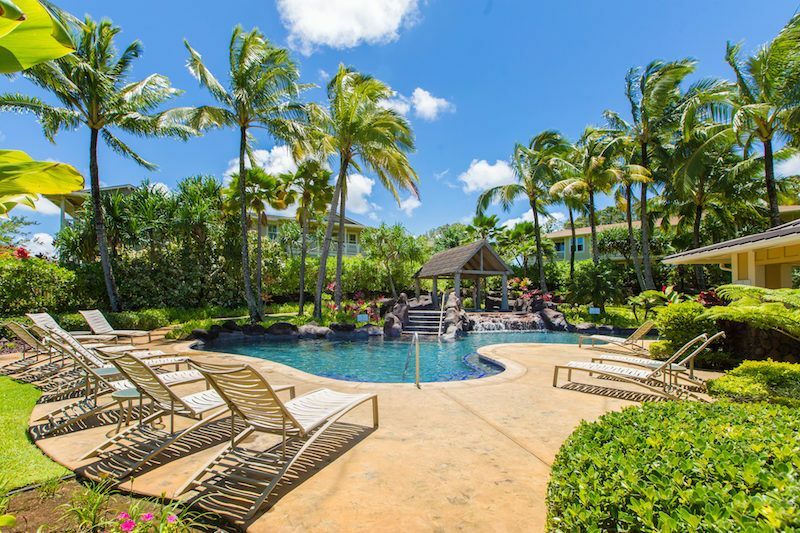 The pool area is lushly landscaped and offers a large covered area with dining tables and BBQs. 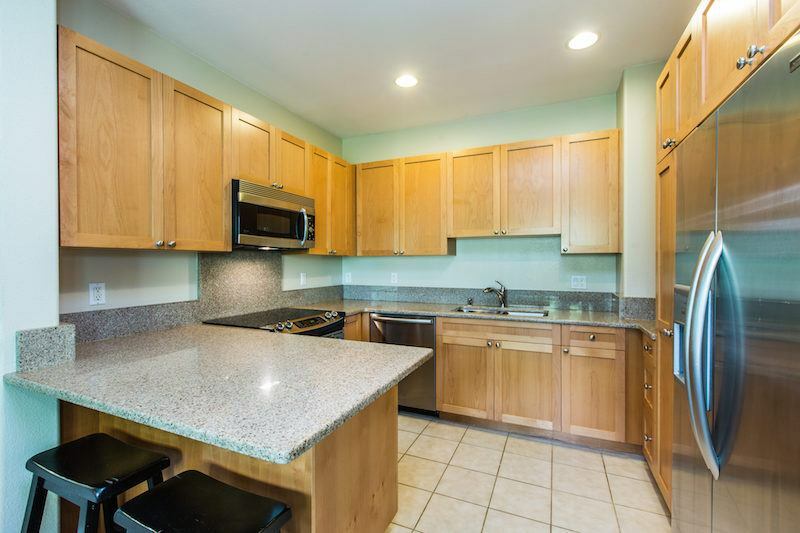 This 2BD/2.5BA tri-level unit feels more like a single family home with no one above or below you. 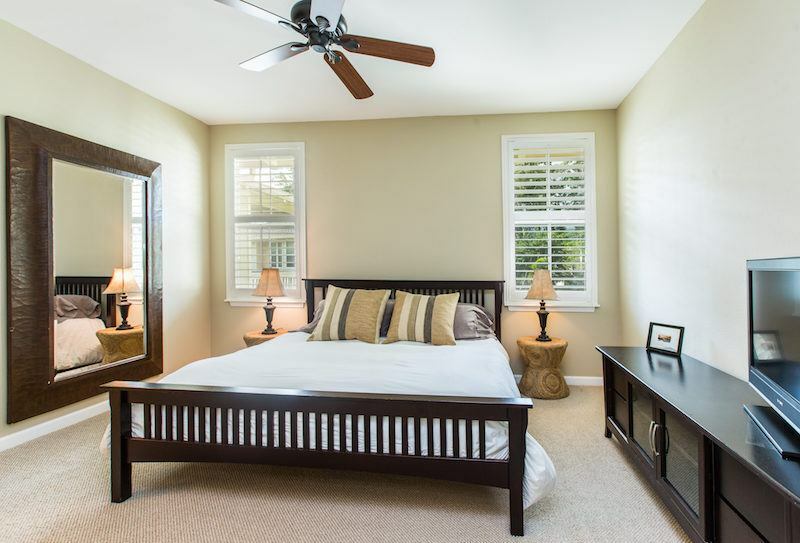 Additionally, there are two living spaces up and down as well as an attached 2-car garage. 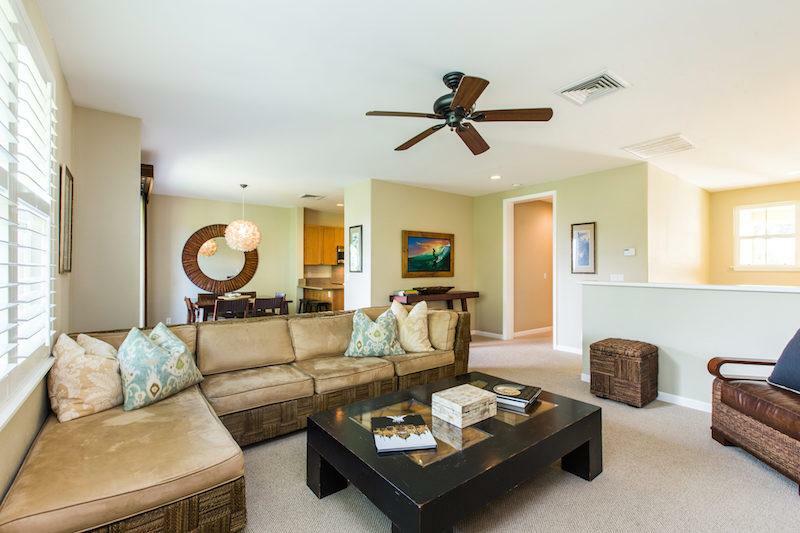 The condo is equipped with a central A/C and a lanai off the upstairs dining area. 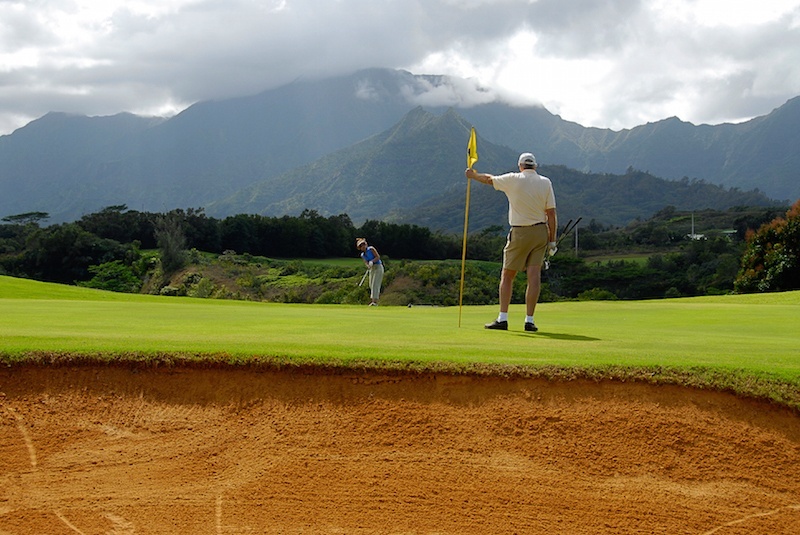 Nihilani at Princeville is one of Princeville’s newest condominium communities and offers one of the lower HOA rates that includes water, sewer, trash, basic cable, common area maintenance, reserve funds, and exterior building insurance. 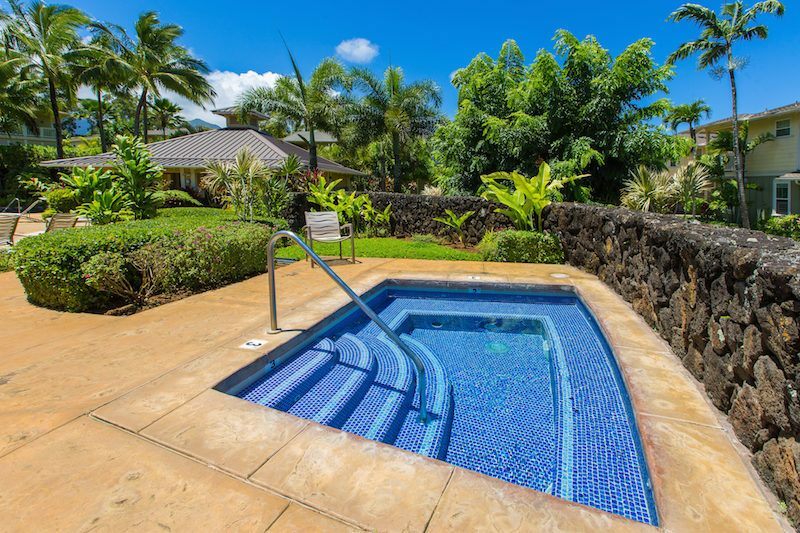 Built in 2007 by Brookfield Homes, the plantation-style architecture, tropical landscape, and resort-like pool provide the perfect setting for island living. 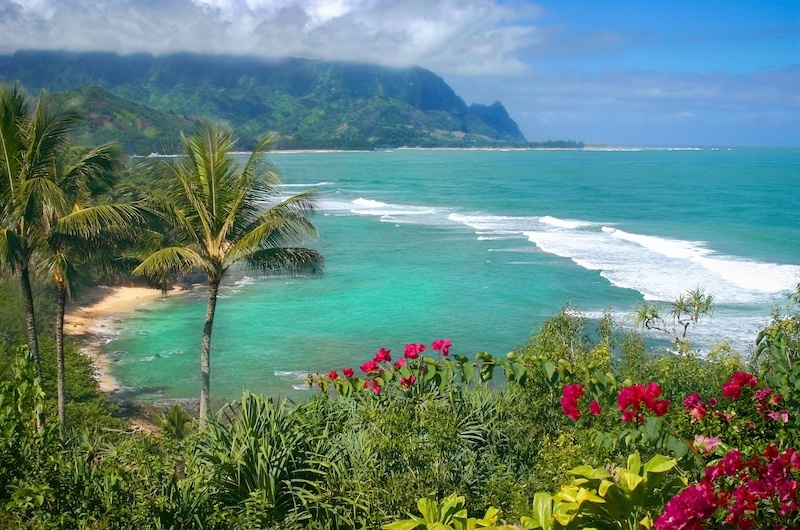 Nihilani is located across from the 18th fairway of the world-class Makai Golf Course, and a 10-minute drive to renowned Hanalei Bay. Current listings in Nihilani range from $625,000 to $699,999.